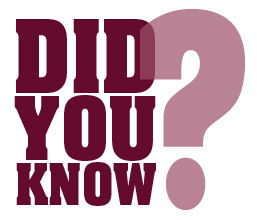 We are the ONLY Full-Service provider of complete Prescription Spectacle Kits in the U.S.
We offer alternative replacement kits for all major brands. We have all the critical ophthalmic measurements required to process Prescription Spectacle Kits (retail optical services do not have). 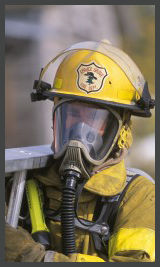 SafeVision® provides prescription eyeglass spectacle inserts for all SCBA and full-face respirator manufacturers. These Spectacle Insert Kits allow anyone to use prescription eyeglasses inside their respirator mask without compromising the seal. 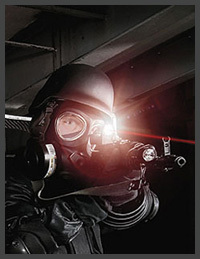 Fabricating prescription lenses for your respirator mask requires additional calculations to your standard eyeglass prescription. Failure to make these special measurements will result in a loss of visibility, clarity and focus. 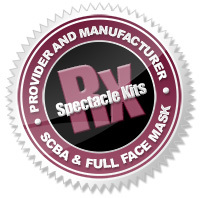 SafeVision has the experience and manufacturing capabilities to provide quality prescription spectacle kit inserts for your respirator mask.